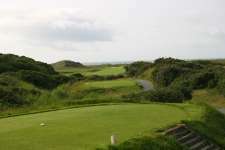 Unlike the majority of modern golf developers who seek immediate headlines and hefty financial returns with their compromised estate master plans, when Irish writer Pat Ruddy decided to build his own golf links it was done with little fanfare and with the long-term foresight of a true golf visionary. A devotee of the classics, Ruddy’s vision for The European Club was a private golf-only playground he would build for his own personal enjoyment but then share, when ready, with discerning like-minded golfers. The designer’s first concern was finding an ideal site for his modern links. 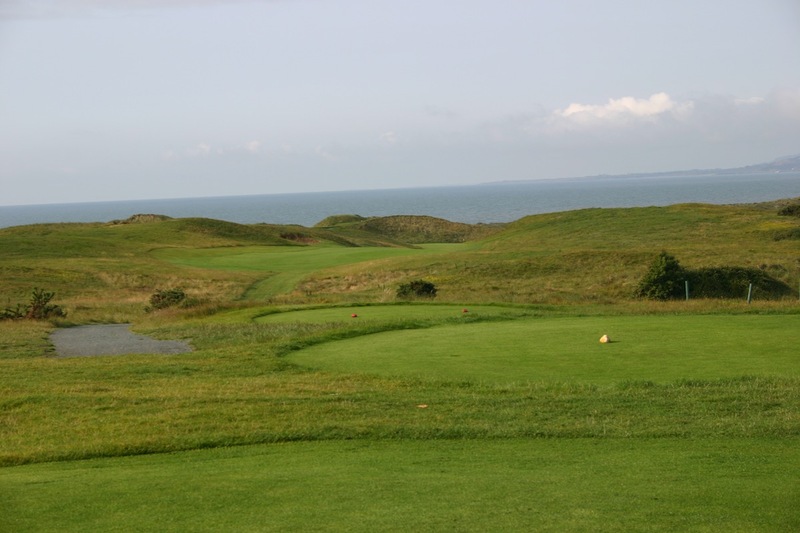 By helicopter he scoured Ireland’s coastline looking for quality linksland, managing to spot a stretch of coastal dunes along the Irish Sea some 40 miles south of Dublin. Convinced of its suitability for great golf he purchased the property and then, with a ‘build it and they will come’ mentality, spent several years meticulously planning his course and personally shaping its fairways, greens and bunkers until he felt it ready for play. Full of interesting elements, the Ruddy routing is made up of two counter-clockwise loops, the first mostly away from the sea and the second touching its shoreline. Most of the golf is set within a series of medium sized sandhills and although some holes through the dune corridors designed themselves, the majority were caressed into life by an attentive architect. 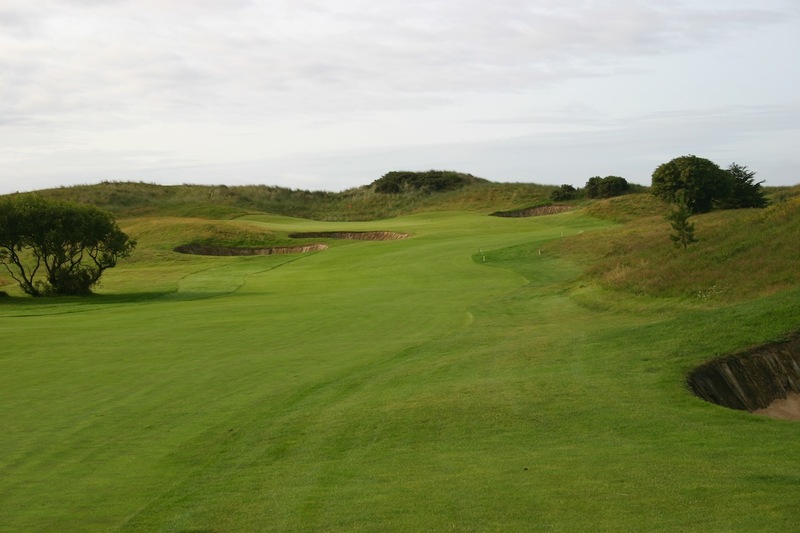 Focused on variety and careful not to over design his holes, Ruddy cleverly attacked the sand formations from all directions leaving the links always at the mercy of the elements and unlikely to ever become tedious. 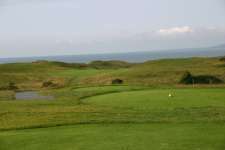 The opening holes are superb, the rising first fairway introduces you to the site’s gorgeous duneland while the 2nd is an excellent short hole and the 3rd a terrific downhill par five that narrows as you approach a forward and right sloping hillside green. Both the par three 6th and the long, strong and penal par four 7th are nasty holes, but these are immediately followed by the best stretch on the course which includes the deep valley 8th, attractive green complexes at the 10th and 11th and a series of holes, 12, 13 and 15, that are routed right alongside the Sea. The pick of these central holes, however, is the par three 14th, which is played across a valley and into a falling ridge green. About the only minor criticisms one could make of the links are the fact that some of the fairway bunkers and tight landing areas are ineffective under certain conditions. The course is also a touch long, especially from the back tees, and does lack a clever short four. 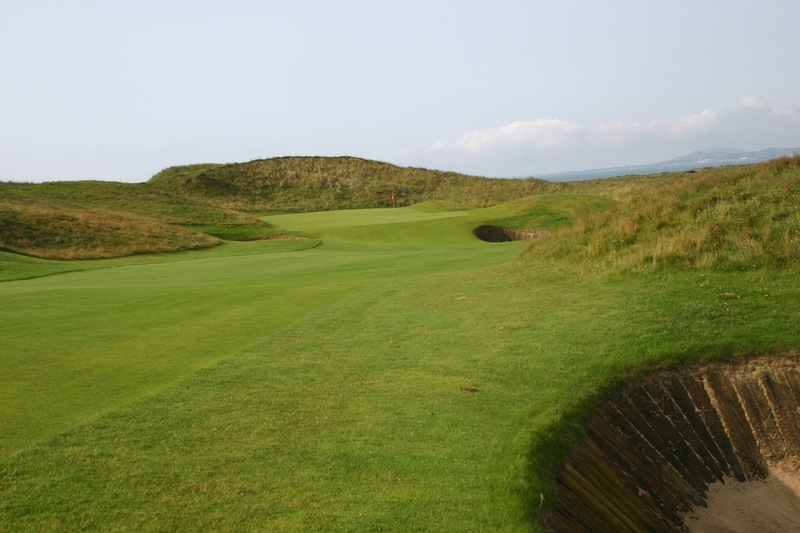 The beautifully built green sites on the other hand are outstanding, as are the distinctive sleeper-faced bunkers which are well placed throughout the course but used sparingly within the fairways. Pat Ruddy knew that, like all great links, his course would be far from perfect the day it opened and has spent the years subsequent to its 1992 opening tweaking holes to further improve upon what he first created. Despite still being a work in progress, the European Club is a substantial achievement and already one of Ireland’s must-play links.